Throughout the year, we have a vibrant on-line discussion of devotional writings provided by the United Church of Christ. Reading from a daily devotional, we email our thoughts about what inspired us in the reading or where we disagree with the author of the day. We find it fascinating to see the range of views and interpretations coming from our fellow members. 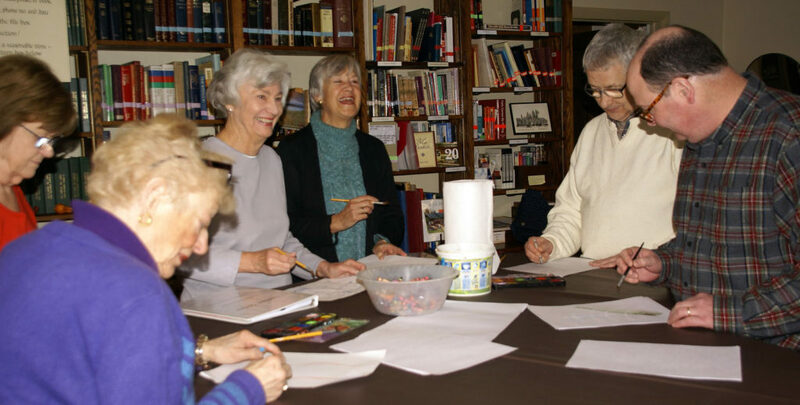 The Deacons typically offer a special series of programs during Lent. In 2018, Rev. Todd Farnsworth led us in a six-week study about the Bible. This well-attended study dove into the origins of the Bible, gave us a foundation for choosing a study Bible and taught us how to make scripture readings a bigger part of our spiritual journey. The Pastor periodically leads a discussion of the scriptural texts for the upcoming Church season, providing the biblical and historical context of the readings to enable us to better understand the Bible’s message. We sponsored a three-part series on Islam and the Muslim world to help enhance our understanding of this important faith community and provide context for some of the events that shape today’s world. The Women’s Society offers book discussions and reviews on a variety of materials selected by the members. 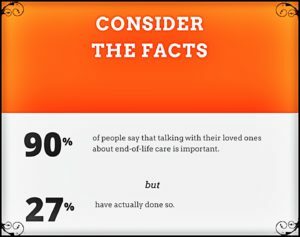 Included on this page are resources provided by the Institutes for Healthcare Improvement and the BCC Board of Deacons to help you have a conversation with someone you care about regarding how you would like to be cared for near the end of your life. These resources are non legal, non binding, but offered as a tools to equip the saints in having these important discussions. Our hope and prayer is that these links will bring you and your loved ones peace.